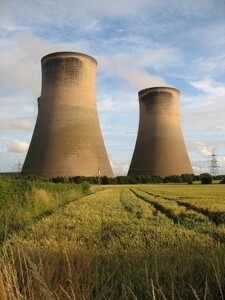 Energy UK has urged the Government to move faster with its plans for a capacity market set to encourage energy suppliers into further investing in low-carbon power generation such as gas-fired power stations. If action is not taken soon, the country could face a major shortfall in generating capacity according to the organisation - the representative for a number of the big UK power firms including EDF Energy, RWE npower and British Gas parent company Centrica. Many senior officials in the energy industry, including the likes of SSE chief Ian Marchant and Centrica chairman Sir Roger Carr have already emphasised UK gas supplies are at real risk, with prospects of a UK wide blackout, deemed a startling reality. In a letter to energy secretary, Ed Davey, Energy UK head, Angela Knight, said a decision was urgently needed and that: "It is essential that market participants are given clarity on future market arrangements." New gas plants are set to come to the fore once the Government's Energy Bill becomes law later in the year as it pushes for low-carbon power generation. Under the bill, this method of power generation will be incentivised, but first there has to be an auction for power capacities - the winners of which have to deliver a set amount of energy at peak times. For energy companies, this guaranteed income is seen as vital if they are to plough money into new plants. Unfortunately, such auctions are not set to start until 2015 at the earliest and with the gas plants typically taking two years to complete, it may be 2017 before any are up and running. As part of the Government's Green Deal initiative, many energy firm's are also providing customers with ways to cut down carbon emissions and domestic use of gas. The scheme offers 'loans' on a range of products designed to boost a home's energy efficiency, from a replacement boiler to loft and wall insulation.